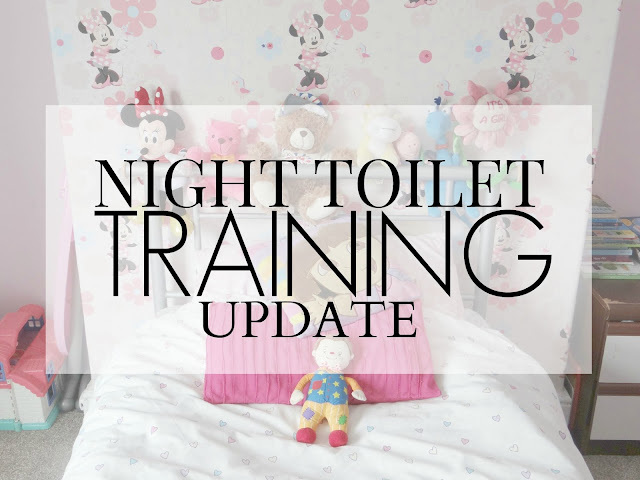 If you are a regular reader, then you may have read that we are currently in the middle of night toilet training Elliw. It has been just over a week since we started and it has been going great. If I remember rightly, she has only had about 3 accidents, which I think is fantastic. I am so happy that we have an easy child to toilet train in the day and night. The past few days she has called us in the middle of the night wanting to go to toilet, which is great. We have rewarded her with pocket money and we are really happy that we aren't having to buy pull-ups so much anymore. We have saved a lot of money buying less wet wipes and less nappies. We still have to buy tem because of Mia, hopefully one day soon she will have stopped her problems and we won't have to buy nappies again! Here's to another good week of night training!